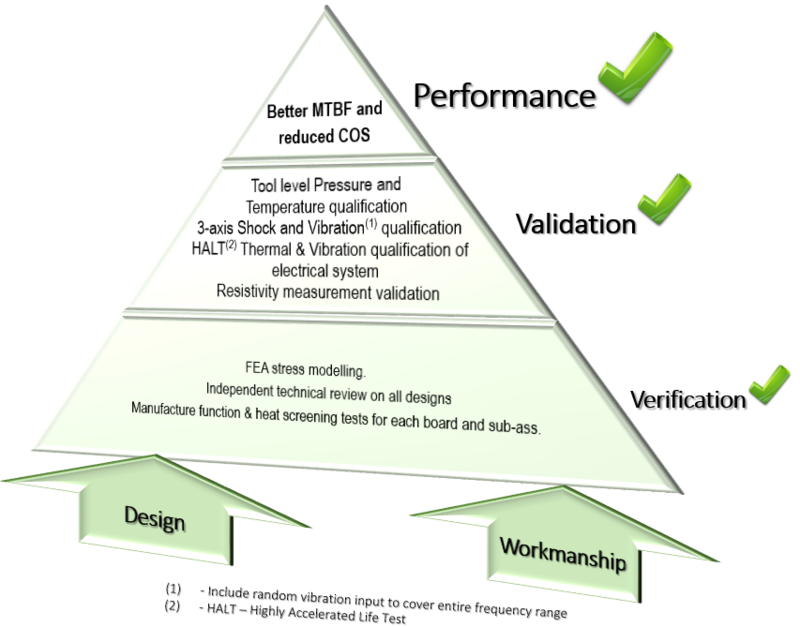 A successful performance is built upon the stepping stones of effective validation and verification, supported by effective design and high standards of workmanship. We use only IPC-A-610 and 620 certified Assemblers to work with electronics and harnesses. These standards govern the acceptability of our downhole assemblies and wire harness assemblies according to these leading standards. IPC is accredited by the American National Standards Institute (ANSI) as a standards developing organization. Following known and industry proven design rules, Oliden is able to leverage literally hundreds of years worth of design knowledge in both mechanical and electronics domains.